Australia's largest offshore island was once joined to the mainland by a narrow land bridge now submerged by the rising seas following the last southern ice age 10,000 years ago. Approximately 40 percent of Tasmania is protected in world heritage areas, national parks and other reserves. In 2007 Forestry Tasmania launched a forest walking track and two suspension bridges near Geeveston. The swinging bridges span the Picton and Huon Rivers near the Tahune Airwalk. 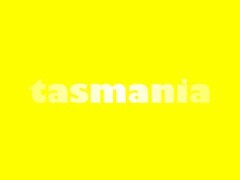 Tasmania is the smallest of Australian states and is separated from the Australian mainland by the Bass Strait.